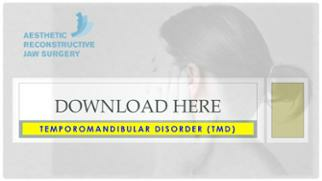 Temporomandibular joint (TMJ) disorders are a family of problems related to your complex jaw joint. If you have had symptoms like pain or a "clicking" sound, you'll be glad to know that these problems are more easily diagnosed and treated than they were in the past. These symptoms occur when the joints of the jaw and the chewing muscles (muscles of mastication) do not work together correctly. TMJ stands for Temporomandibular Joint, which is the name for each joint (right and left) that connects your jaw to your skull. Since some types of TMJ problems can lead to more serious conditions, early detection and treatment are important. No one treatment can resolve TMJ disorders completely and treatment takes time to become effective. 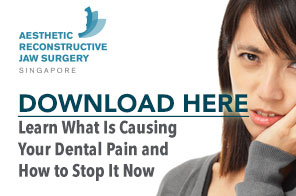 Dr. Chan can help you have a healthier and more comfortable jaw. There are various treatment options that Dr. Chan can utilize to improve the harmony and function of your jaw. Once an evaluation confirms a diagnosis of TMJ disorder, Dr. Chan will determine the proper course of treatment. It is important to note that treatment always works best with a team approach of self-care joined with professional care. If your TMJ disorder has caused problems with how your teeth fit together, you may need treatment such as bite adjustment (equilibration), orthodontics with or without jaw reconstruction, or restorative dental work. Surgical options such as arthroscopy and open joint repair restructuring are sometimes needed but are reserved for severe cases. Dr. Chan does not consider TMJ surgery unless the jaw can’t open, is dislocated and non-reducible, has severe degeneration, or the patient has undergone appliance treatment unsuccessfully.